From routine cleanings and fillings to bruxism devices, New Smile Dental is equipped to handle all your dental needs. To help you understand your options, we've included descriptions of some of our leading services on this page. 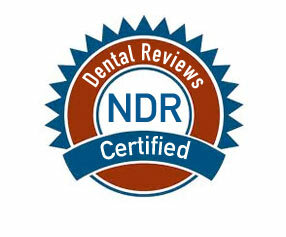 Specializing in full mouth reconstruction. Before development of dental implants or mini implants, dentures were the only alternative to replacing a missing tooth or teeth. Implants are synthetic structures that are placed in the area of the tooth normally occupied by the root. Implants are anchored to the jawbone or metal framework on the bone and act as a foundation for an artificial tooth or permanent bridge. In some cases, implants can be used to attach dentures. Implants are so well-designed, they mimic the look and feel of natural teeth. Implants are usually made of a synthetic yet biocompatible material like metal or ceramic. Not everyone is an ideal candidate for a dental implant. For a successful implant to take hold, a candidate must have proper bone density and have a strong immune system. Diabetics and people with chronic bruxism (teeth clenching) are generally not favorable candidates. In all cases, dental implants require strict oral hygiene. In general, good candidates who have dental implants can expect high success rates with the procedure. Most Crowns are synthetic caps, usually made of a material like porcelain or zirconia, placed on the top of a tooth. They are typically used to restore a tooth’s function and appearance following a restorative procedure such as a root canal. When decay in a tooth has become so advanced that large portions of the tooth must be removed, crowns are often used to restore the tooth. Crowns are also used to attach bridges, cover implants, prevent a cracked tooth from becoming worse, or an existing filling is in jeopardy of becoming loose or dislocated. Crowns also serve a cosmetic use, and are applied when a discolored or stained tooth needs to be restored to its natural appearance. Teeth must usually be reduced in size to accommodate a crown. A cast is made of the existing tooth and an impression is made. The impression is sent to a special lab, which manufactures a custom-designed crown. In some cases, a temporary crown is applied until the permanent crown is ready. Permanent crowns are cemented in place. Usually in two or three dental visits, a veneer can reverse years of stains caused by foods, caffeine and tobacco use. Special thin laminates, called veneers, can also be used to correct discolored, worn down, cracked and chipped teeth. Veneers can also be used to close unsightly gaps between teeth. Stronger types of veneers made of porcelain, also called composite veneers, typically last longer because they are bonded to the tooth. An impression of the tooth must be done and a veneer molded by a lab technician. Because veneers require a small amount of enamel to be removed, they are permanent and non-reversible. The process involves buffing the tooth, removing an extremely thin layer of the tooth to allow for the thickness of the veneer, an impression of the tooth, and final bonding of the veneer to the tooth with special cement. A special light is used to complete the process and final polishining is done.